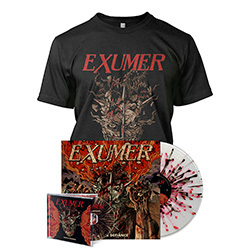 On April 5th, legendary multinational thrash metallers Exumer will release their fifth full-length, Hostile Defiance, via Metal Blade Records. 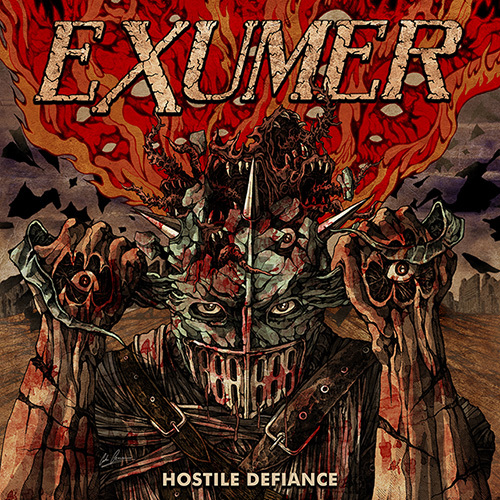 For a preview of the album, the video for the first single, “Hostile Defiance”, can be seen at: metalblade.com/exumer. The clip was created by renowned cover artist Costin Chioreanu (At The Gates, Voivod, etc. ), who also made the album artwork and layout for Hostile Defiance.